Following our scorching success of an event last year – and we’re not just talking about the weather – our Glorious Garden Party is back! The Champagne will flow all day, the strawberries will be piled high, the band will play, and tennis legends Pat Cash and Greg Rusedski will rally up the party spirit with a lively exhibition match umpired by national treasure, Judy Murray. Adding to the party buzz, platinum-selling Manchester singer-songwriter, JP Cooper – one of UK's fastest-rising talents, who’s been rocking sell-out crowds at Bestival, T in The Park and Festival No.6 – will be performing tracks from his latest album, Raised under Grey Skies. There will be no grey here at our Garden Party, though, as our lawn bursts with summery vibes, sensational food and a sumptuous Afternoon Tea, including our Executive Pastry Chef, Phil Skinazi’s magnificent centrepiece cake with seasonal Scottish berries. 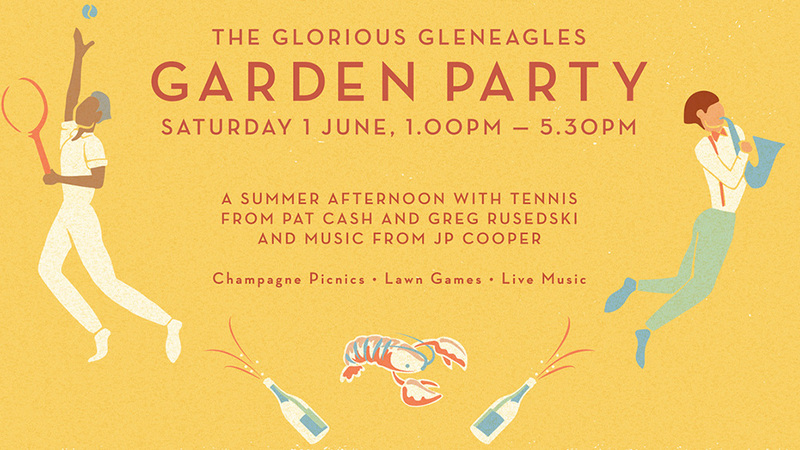 The event kicks off with Champagne, lawn games and decadent canapés featuring the finest Scottish produce. Whack a few croquet balls with friends, soak up the sunshine with a gin & tonic ice-pop, then settle into tables at our outdoor court and enjoy Afternoon Tea, summer cocktails and live music, before watching sporting icons Pat Cash and Greg Rusedski play a championship set, donning vintage wooden rackets for the first few games. Join us for the liveliest toast to the season, and don’t worry about the tan lines this year –we’ll have sunscreen here for you! The price is for one ticket, which you'll recieve in the post two weeks before the event. Strawberries will be piled high, parasols will be opened and tennis balls will be whacked – at this celebration of everything that makes summer wonderful. We look forward to welcoming you! This ticket features a unique reference ID code, may only be redeemed once, may not be exchanged for cash, replaced if lost and is non-transferable. The ticket must be presented upon arrival. No photocopies will be accepted. The ticket is only valid on the date of the event it is intended for. Terms & Conditions are subject to change. Our exquisite afternoon tea ritual is a unique gift to treasure, offering the finest selection of teas, classic finger sandwiches, irresistible scones and delicate French pastries from our patisserie. 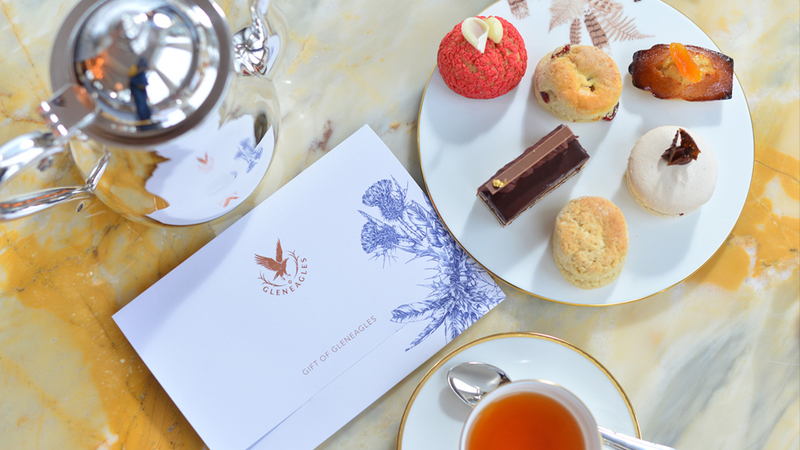 Our exquisite afternoon tea ritual is a unique gift to treasure. 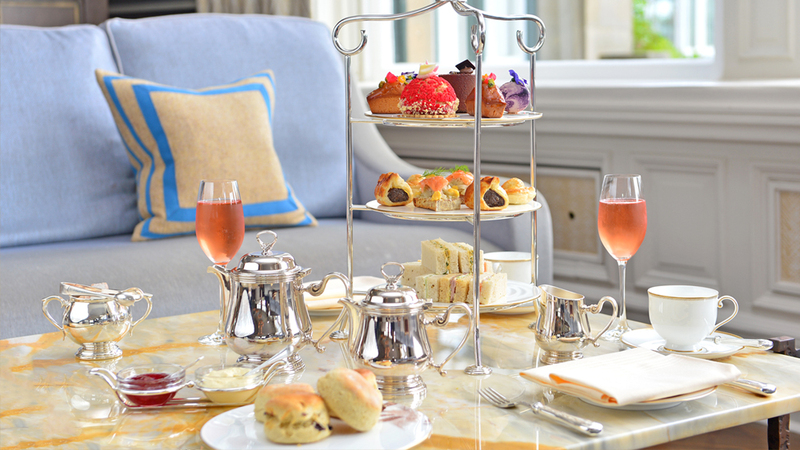 An elegant glass of Veuve Clicquot Champagne accompanies the finest selection of teas, classic finger sandwiches, irresistible scones and delicate French pastries from our patisserie.